These crewman were responsible for piloting the ubiquitous Huey during the Vietnam War. During the war, several Huey pilots and crewman were awarded for bravery in combat, often evacuating wounded soldiers under enemy fire. 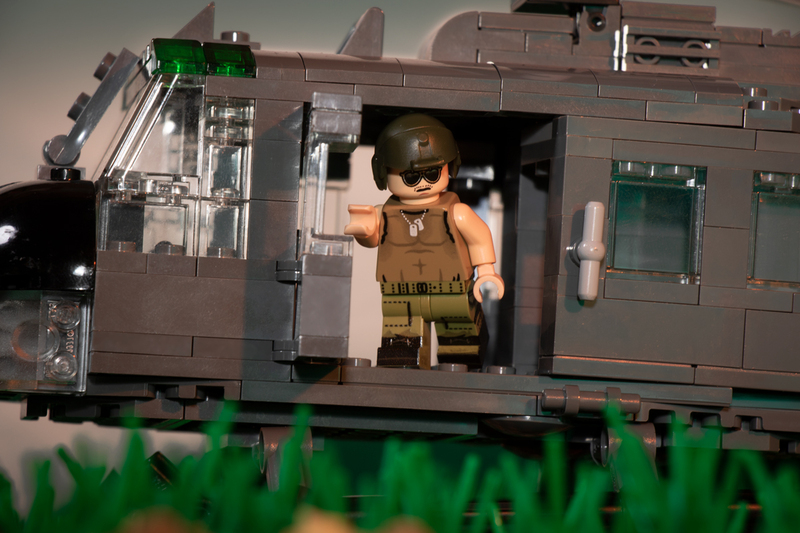 This Vietnam Huey Crewman minifigure features exclusive custom-printed artwork designed by Lando.